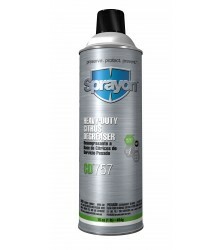 Sprayon® CD™ 757 Heavy-Duty Citrus Degreaser is a heavy duty, multi-purpose degreaser, adhesive and graffiti remover. This non-chlorinated formula has the cleaning power of solvents to remove grime, dirt, grease and oil. An outstanding biodegradable cleaner for use in general maintenance, public buildings, transit systems, restrooms, locker rooms and schools and schools. Ideal as a cleaner prior to painting. Leaves a refreshing, pleasant scent. 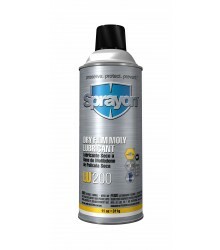 Net weight: 16 oz Aerosol.